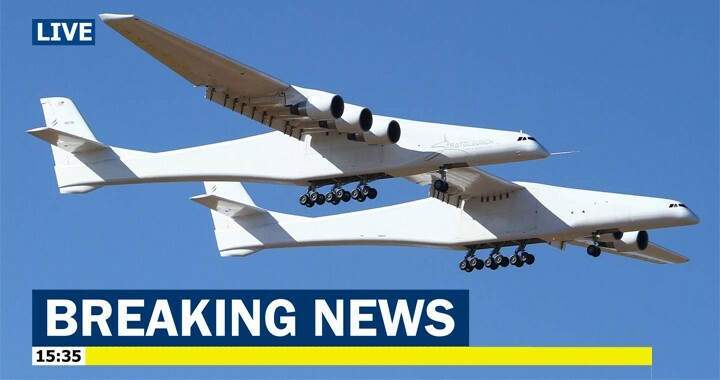 The world´s largest airplane — a Stratolaunch behemoth with two fuselages and six Boeing 747 engines — made its first test flight on Saturday in California. Powered by the same type of engines used by Boeing 747s, the aircraft is designed to take off at a maximum weight of 1.3 million pounds (589,676 kilograms). Its twin fuselages — sort of the airplane equivalent of a catamaran — are 238 feet (72.5 meters) long. The previous wingspan leader was Howard Hughes’ World War II-era eight-engine H-4 Hercules flying boat — nicknamed the Spruce Goose. “We finally did it,” said Stratolaunch Systems CEO Jean Floyd at a news conference from the hangar at Mojave Air & Space Port. “It was an emotional moment to watch this bird take flight. 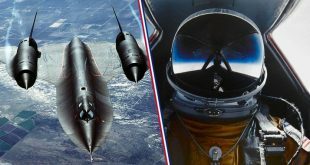 Allen’s groundbreaking aircraft is designed to carry as many as three satellite-laden rockets at a time under the center of its enormous wing. At an altitude of 35,000 feet (10,668 meters), the rockets would be released, ignite their engines and soar into space.